Kalley's Machine is in the App Store! Kalley's Machine Plus Cats is a thing! 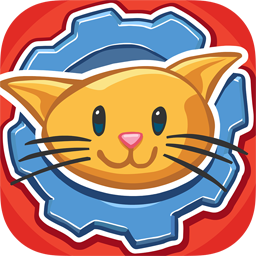 Kalley’s Machine Plus Cats is live on the AppStore people! We are ever so serious about that. And we are amped! If you have no idea what we’re talking about, you must be new here. So thank you for coming! You can find out about Kalley’s Machine right here. This is a big day for our family. And we are so excited to have shared it with all our friends who have cheered for us along the way. Thank you. It is really fun to be here with you.